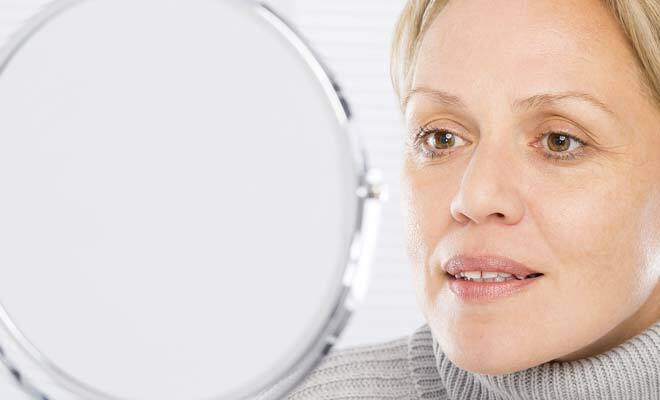 Dermaluxe Review: Is Dermaluxe Safe and Effective? DermaLuxe is also called DermaLuxe Snake Venom Peptide Cream which is marketed as a comprehensive anti-aging solution that fights skin aging. According to one of the websites offering a free trial of the product, it is a safer and more affordable alternative to cosmetic anti-aging procedures like laser therapy and Botox injections. The product uses a combination of proven ingredients that work to boost the production of collagen in the skin in order to deliver rapid results. It is said to offer dramatic results in just a few weeks. The product is only available through a free trial wherein you only have to pay the shipping fee of around $5. What DermaLuxe Claims To Do? There is no information available online regarding the manufacturer of the anti-aging topical solution. It is also not stated where the formulation is being made or if it adheres to FDA standards. Some people who have signed up for the free trial are complaining because it only lasts several days and the charge on the credit card is about $93 after the trial period. An automatic shipment program also follows which is the reason for most complaints. $93 ever month will bemore than $1000 in a year which is as expensive as some cosmetic procedures. 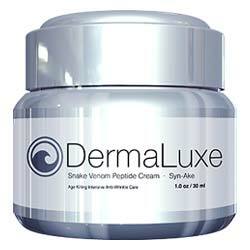 DermaLuxe Snake Venom Peptide Cream is a special formulation for all kinds of wrinkles. It is said to boost the production of collagen in the skin considerably which is how most anti-aging procedures like laser therapy works. The product also uses natural extracts that are rich in antioxidants which fights free radicals and prevents oxidative stress damage. The formulation also uses natural moisturizing ingredients that address dryness and keep the skin hydrated for a long time. This has been shown to help slow down the skin aging process. Grape Stem Cells – It is a revolutionary technology that claims to rejuvenate the skin and enhance the skin’s natural repair process. It helps protect against rapid aging of the skin by fighting free radicals. Fruit Acids – This key ingredient is rich in nutrients that nourish the skin. There are also hydrating compounds according to websites of the product. It also contains potent antioxidants that combat free radicals in order to help protect the skin from premature aging. AHA – It is well-known as an effective natural ingredient for exfoliating the skin. It removes dead skin in the outer layers so that younger and healthy skin is revealed. This also helps reduce the appearance of age lines. Green Tea Extract – This is a very popular key ingredient in skin care products because it contains compounds that help protect the skin and slow down its aging process. Make sure your skin is clean and dry then apply a thin layer of the formula all over your face. Massage it gently onto your skin to ensure thorough absorption. If you have skin that is very sensitive or have any history of hypersensitivity to similar skin care products, you should consult with your skin care professional before using this formula. You should also perform skin testing before using it just to make sure you are not sensitive to any ingredients. DermaLuxe is an ordinary anti-aging formulation but the free trial is a very enticing offer. This makes it a product worth trying but you need to be careful since it only lasts several days and comes with an automatic monthly shipment program. There are proven anti-aging ingredients in the formulation and some feedbacks say it is effective. On the other hand, there are some people who have tried it saying it is not as effective as it claims.